The kids went back to school today! 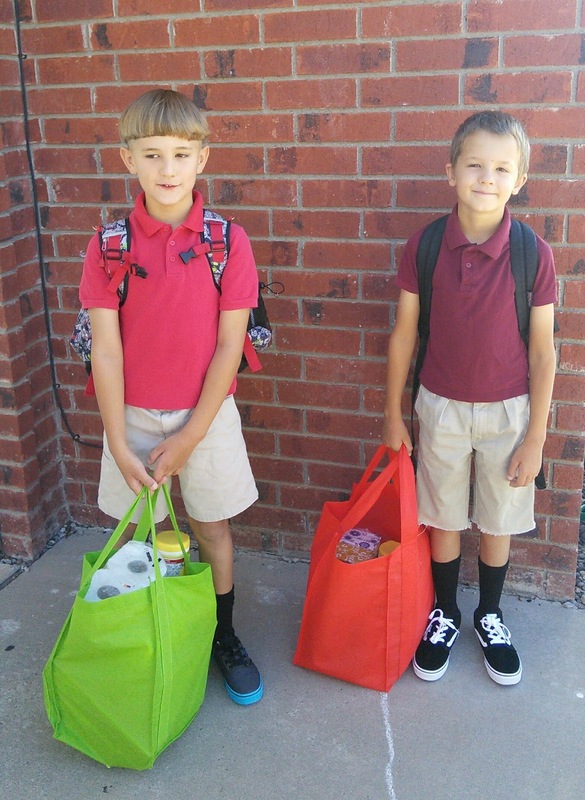 The first day back to school is always an exciting day for my younger boys. The teen, on the other hand, was not as excited to be going back to school. He just does not get excited about new shoes and school supplies like the younger boys do. This morning he complained that he had to get up early and wanted more sleep. 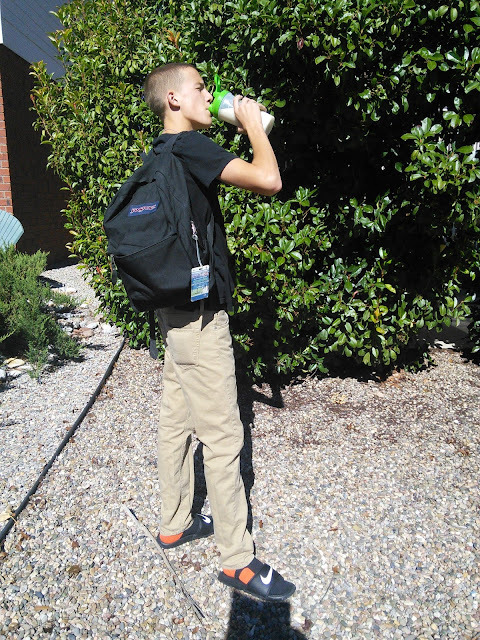 He grabbed a smoothie and ran out the door. He did stop for a moment so I could take a picture of his back to school photo. Back to school for teens can be stressful as that means having homework and less free time. Teens also worry about how they look and want to make a good impression. For my teen, it is all about having new shoes and new clothes for that first day. It is also about having nice hair and smelling good for the girls. My son likes hair care products that have a nice scent to them. His favorite right now is Pert Plus 2in1 Classic Clean (at drugstores nationwide.) He likes the scent as it is not "girly" scented and that it is a one-step product. He can get in and out of the shower faster every night with Pert Plus. This product combines both shampoo and conditioner to get his hair clean and shiny so it looks nice for school. I remember when my daughter was in high school and how much time she spent on her hair. She is now married and a teacher herself. She did not have the option of a get-up and go morning like my son has. Her longer hair required much more time to look nice. That meant getting up in the morning to take a shower and then having to blow dry it. The blow dryer, although necessary, would leave her hair dry and damaged. She would have loved using the Infusium23 Moisture Replenisher Collection (sold at Target) on her busy school mornings. This lightly scented shampoo, conditioner, and leave-in treatment are perfect for replenishing moisture-deprived hair. They are formulated with a blend of avocado and olive oil to instantly transform dry damaged hair into soft, healthy-looking, more manageable hair. 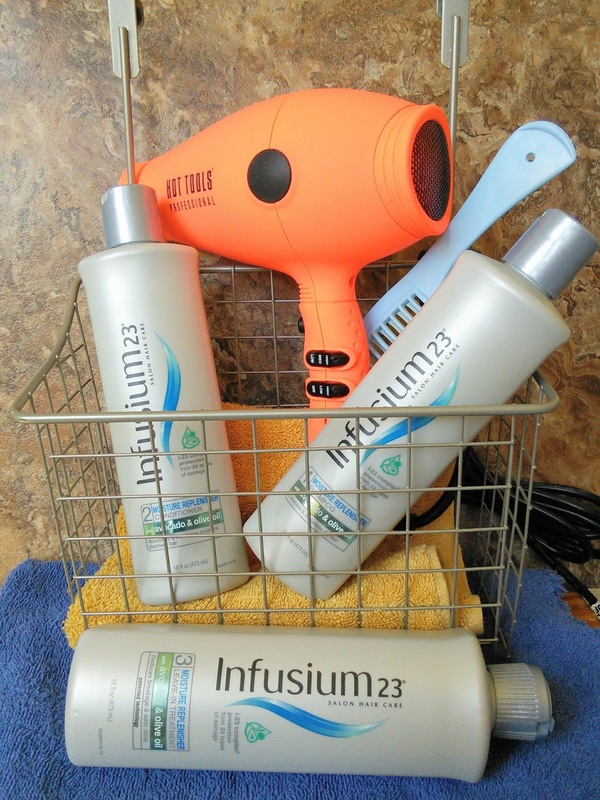 Teen-aged girls will love how their hair looks after using Infusium23. The 23 stands for a complex that is enriched with provitamins, antioxidants, proteins and amino acids. Teenage girls will also appreciate having a hair dryer that quickly dries their hair to get them out the door faster on school days. 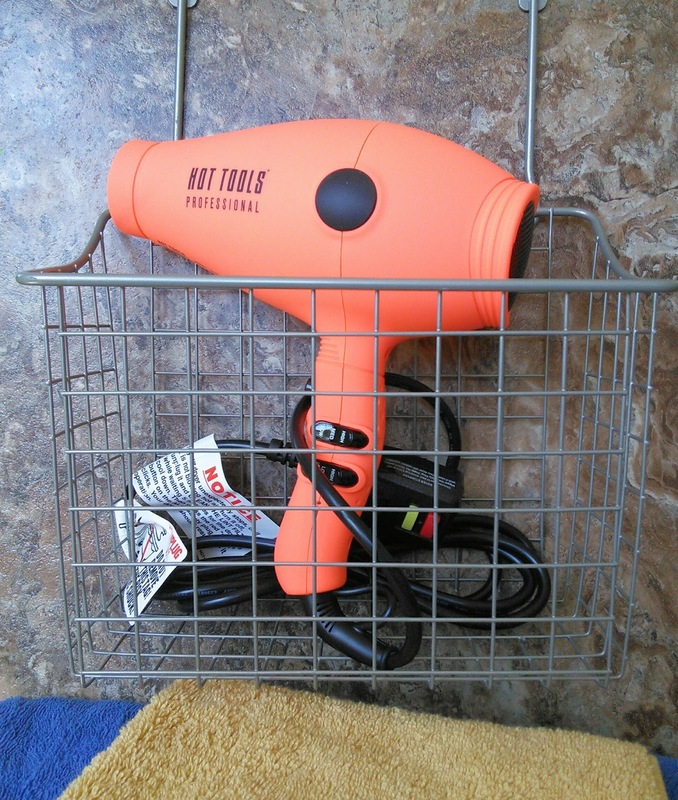 The Hot Tools® Turbo IONIC® Dryer (sold at Ulta) is small, lightweight, and powerful to help them dry their hair fast. Moms will like how quiet it is so they can sleep in while their daughters are using it. The PRO-MOISTURE SYSTEM™ with ION TECHNOLOGY® is supplemented with Tourmaline to deliver a hydrating “spa treatment” for their hair — while fighting frizz and locking in moisture for supremely soft, manageable hair. Girls will love the bright neon orange color, it might just brighten their morning. Do you have teens who are heading back to school? Is looking good important to them? Enjoy your kids while they are young and don't care about how they look. I just had to include the younger ones back to school photo. They are so excited to be going to school! 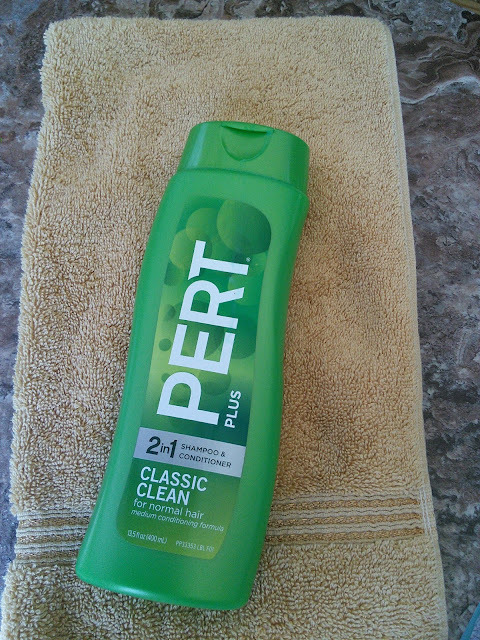 Our entire family uses pert !! So refreshing and love the smell !! I agree! They have to look good. These products look fantastic! School kids needs to have that clean hair everyday, one way to prevent hair infestations too. Good brand! Once your child enters his teen years, he suddenly cares about how he looks, the same goes with the ladies! I think these products are great and I'm sure it's perfect for their morning routines. Teens are a little more conscious about how they look and we want to support them the best way we can. These hair care products sound great! Oh, these are really necessities for a teenager. I will share this with my sister. I love that you included a photo of the younger kids in the post. Back to school is such a fun time for everyone. My son is always looking for the ultimate shampoo to make his hair look amazing. Maybe we'll try Pert next. I love Pert for my boys. The combo of Shampoo and Conditioner in one product make it so easy for them! So hard to believe that it is back to school time!! I have a pretween, and she loves shampoo and conditioner combo. I am loving these products! The hair dryer looks perfect for younger hands. Going back to school can be a stressful time but having the products to make them feel good really does help! My son isn't a teen yet, but acts like on already. He has been asking me to fix his hair more. This shampoo is good to remember for him in the next few years. Definitely enjoy them while they're young. They grow up so quickly. Aww they look great for their first day of school. We had our first day of school today! That's always the way with teens though I'm sure part of it is a bit of tension with who they meet as new classmates. That Turbo IONIC dryer might just work for me though. I'm pretty sure kids would love this. Although they are growing up but still mothers knows best for their children. Thank you for this article.